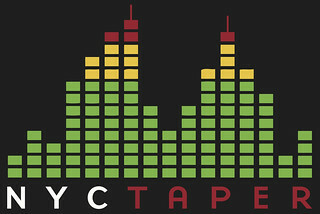 Nine years ago today, I opened the website and NYCTaper was born. Its been an amazing 9 year journey and we hope to keep it going for as long as we are physically able. Thanks as always to the amazing artists, venues, labels, reps, photographers and all of the others who have permitted their art to be featured on this website. And thanks always to our faithful readers who have provided a wealth of positive feedback. NYCTaper represents an amazing set of experiences and friendships that will always be with us. So, thanks! Stay tuned for special announcements over the coming months about our 10 year anniversary party. We’re planning a big blowout for next year! Thank you to everyone who contributes to nyctaper. Great work, and very much appreciated by this set of ears over the Atlantic. Congratulations on the milestone! And thanks for all the cool sounds over the years, many more to come! Congratulations on 9 years doing some great work, and many thanks to the contributors here. Been a fan since 2008, keep it up!